TGIF Team Stryker fans! 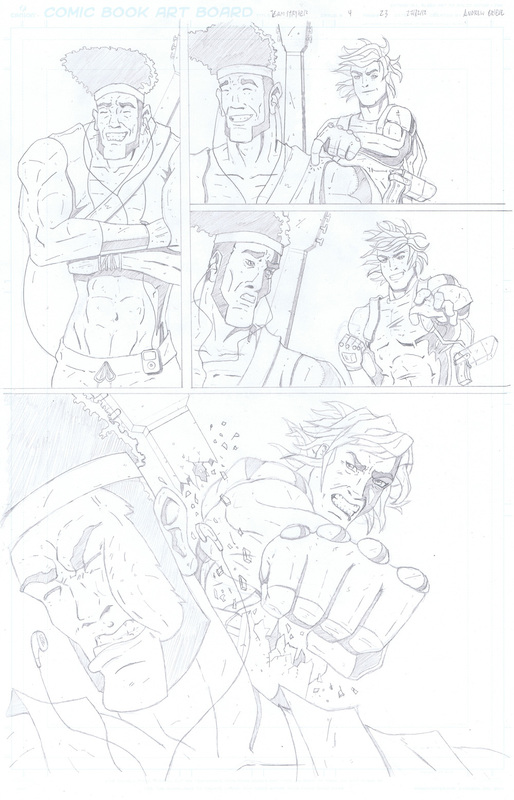 I hope you’re all excited for Friday and the fact that it brings you the pencils to Mission 004 page 23! This page was a fun change as it was the first page since I had them battle on the bridge that didn’t involve a complicated background. I wanted to just focus on the final showdown between Casanova and the last of the Hip Squad. It can always be difficult when stacking two panels on top of each other because you never know if people are going to be able to follow it but hopefully the risk paid off. With this Monday being a holiday I’m going to torture you all and delay the last page of Team Stryker Mission 004 until Monday September 9th. This will also give anyone who is thinking about doing some Team Stryker fan art a little more time to get it in to me at andrew@teamstrykercomic.com. Yesterday I had the privilege of being a guest on the amazing and popular podcast The Wombmates. This was my second appearance and it was even more fun than the first! Be sure to have a listen and follow The Wombmates on Twitter.